For years, the US House’s powerful Rules Committee has been the place proposed marijuana laws go to die. Pete Sessions, a Texas Republican, made sure of that. Since becoming chairman of the committee in 2013, and despite strong public support for reforming marijuana laws, he has stopped dozens of cannabis-related amendments and bills from reaching the House floor — including at least 34 since January 2017, according to one analysis. Among the bills blocked by Sessions were proposals that would have allowed state-legal marijuana firms to access banking services, bolstered protections against federal prosecution for medical marijuana patients and workers, and prevented the VA from discriminating against veterans who consume cannabis for medical reasons. While he is an outspoken critic of marijuana, Sessions has insisted the measures were shot down under a broader Republican policy of killing “controversial” add-ons that imperiled the passage of the critical spending bills to which they were attached. Whatever his reasons, the pot-law logjam created by Sessions is about to break. 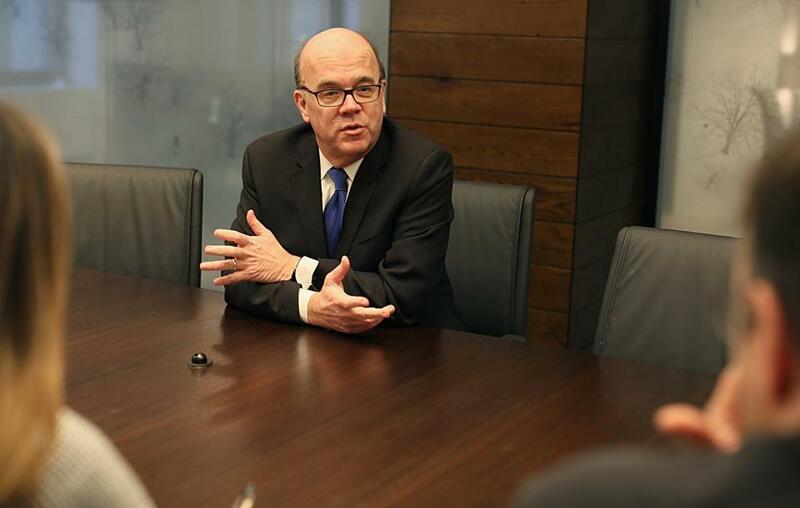 Not only did Sessions lose his seat on Election Day to Democrat and former NFL player Colin Allred, but following the Democratic takeover of the House, Representative Jim McGovern of Massachusetts will soon assume control of the Rules Committee. And in an exclusive interview with TWIW, McGovern pledged big changes. According to McGovern, this isn’t just about his support for marijuana reform. It’s part of a bigger effort to make the House more democratic. He blasted Sessions for rarely allowing amendments to be made “in order,” essentially allowing GOP legislative leaders to decide behind closed doors which measures are considered by the full House. To be fair, Congress did pass a handful of marijuana reforms while Sessions chaired the Rules Committee, including the landmark “Rohrabacher-Farr” budget rider, which keeps the US Department of Justice from spending money on cases against state-law-compliant medical marijuana patients and operators. But McGovern’s more open approach should suit marijuana reformers just fine, including even some Republicans who favor loosening the federal prohibition on pot. Currently, federal law classifies cannabis alongside heroin as one of the most dangerous drugs — those with no accepted medical use and a “high potential for abuse.” That designation is widely derided by medical experts (and cannabis consumers) as inaccurate. In fact, the FDA recently approved a seizure-preventing drug manufactured by a UK pharmaceutical firm that is comprised of cannabidiol, or CBD, one of the primary compounds in cannabis. Nationally, there is overwhelming public support for legalizing medical marijuana (a policy favored by 94 percent of Americans), while polls show that roughly two-thirds of Americans support legalizing the drug for recreational purposes. Following the passage of several marijuana initiatives on Election Day, 33 states have now legalized medical cannabis, while 10 (plus Washington, D.C.) have legalized the drug for recreational consumption. The GOP-controlled Senate and unpredictable Trump White House could, of course, spike any reforms passed by the Democrat-run House. But McGovern said he would nonetheless work to advance his biggest marijuana-related priority: allowing states to legalize and regulate cannabis without interference by the federal government. Also on his list: letting marijuana businesses access the same banking services as other companies. That would alleviate the present lack of institutional lending and other restrictions on capital in the cannabis space, which is especially holding back smaller, locally-owned companies that lack connections to wealthy individual investors or publicly-traded Canadian firms. It would also mean fewer all-cash marijuana companies, which present obvious security risks to the communities in which they’re located. Finally, McGovern said military veterans should be permitted to receive recommendations for marijuana from physicians at the VA in states with medical marijuana programs. McGovern even said that supporting marijuana reform is a “must” for any Democrat seeking the country’s highest office, given the criminal justice and healthcare implications of federal prohibition.